Get ready for the return of Chelsea. The latest key art and trailer have now been released! 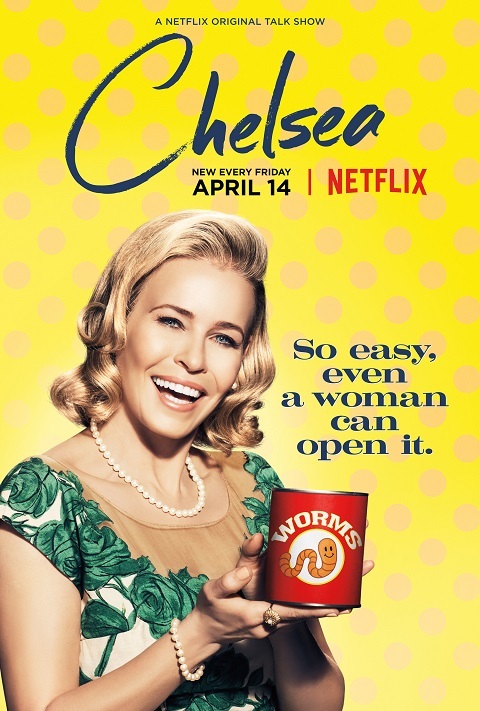 Chelsea will return with all new episodes on April 14, and new episodes will arrive every Friday until the season ends. Netflix also shared more details about the new season. Check out the press release below. 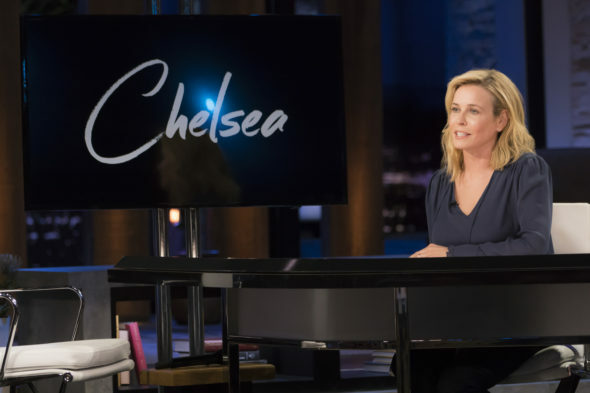 “Looks like Chelsea Handler decided not to leave the country after all! The ever-candid comedian and talk show host is back for Season Two of Chelsea, exclusively on Netflix. 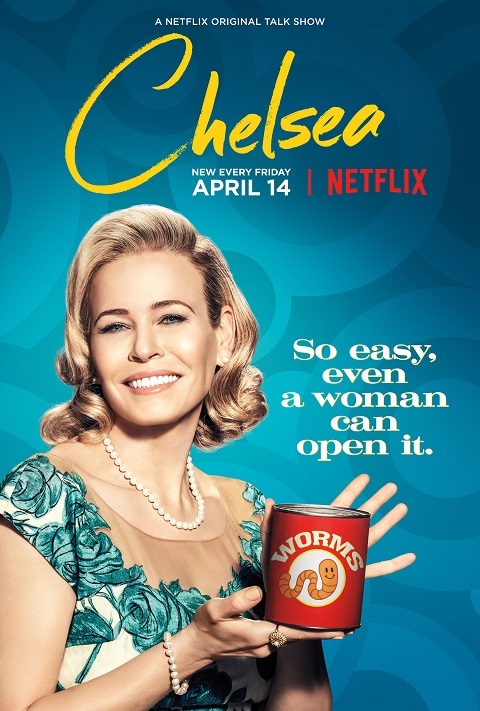 Chelsea premieres on Friday, April 14 with a new, one-hour episode streaming at 12:00pm PT every Friday. Following the election, Chelsea traveled to India, London, Paris and Spain to flirt with the idea of living outside the walls of a Trump administration. Turns out, Chunk and Tammy are only legal in the US, so Chelsea is back in LA at her new Sunset Bronson studio leaning into the topics that matter to her most, all with the same acerbic wit you know and love. The premiere episode packs a punch with Melissa McCarthy, Ben Falcone and the cast of Nobodies (Larry Dorf, Hugh Davidson & Rachel Ramras), CNN’s Van Jones, Christiane Amanpour and Veep’s Matt Walsh. Future episodes include guests such as Charlize Theron (4/21); Rosario Dawson, Tracee Ellis Ross, and Senator Cory Booker (4/28); and an Education Dinner Party with Jim Parsons, Rashida Jones, Gaby Hoffmann, and Mary McCormack (5/5). Check out the new trailer and key art for Chelsea below. Are you excited for the return of Chelsea? Tell us what you think. More about: Chelsea, Chelsea: canceled or renewed?, Netflix TV shows: canceled or renewed?